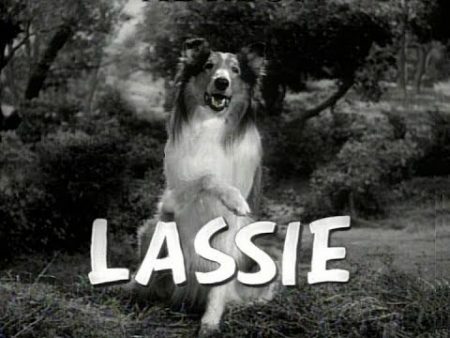 Lassie the famous dog of TV shows and movies, played by at least 6 generations of dogs all traced back to one dog named Pal. With all those dogs, where is their final resting place? Were they buried in the backyard of their owner and trainer, Rudd Weatherwax? Maybe cremated and their ashes spread. I was curious and here is what I found. The original Lassie (Pal) was born in 1940 and died in 1957 and was buried on the Weatherwax Ranch property. The Weatherwax’s have a website that is called Weatherwax Trained Dogs. There you can find the pedigrees of the collies and the names of each of them that played in the TV series and movies. In my search I also came across this interesting video on how to train your dog like Lassie, featuring one of Pal’s prodigy. I never found out where the other “Lassies” as buried, I would assume along side Pal the original Lassie.